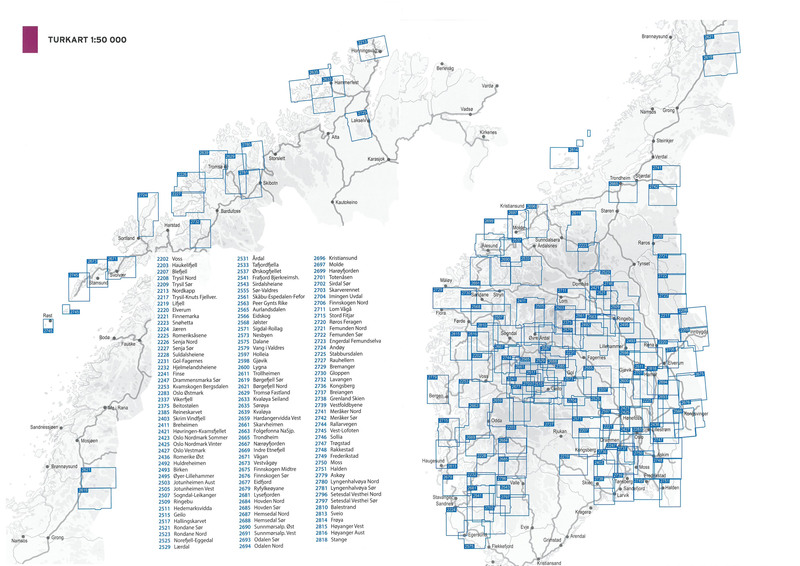 Nordeca AS is active in geographic information systems for the professional market and has a wide product range in printed and digital maps for the consumer market. 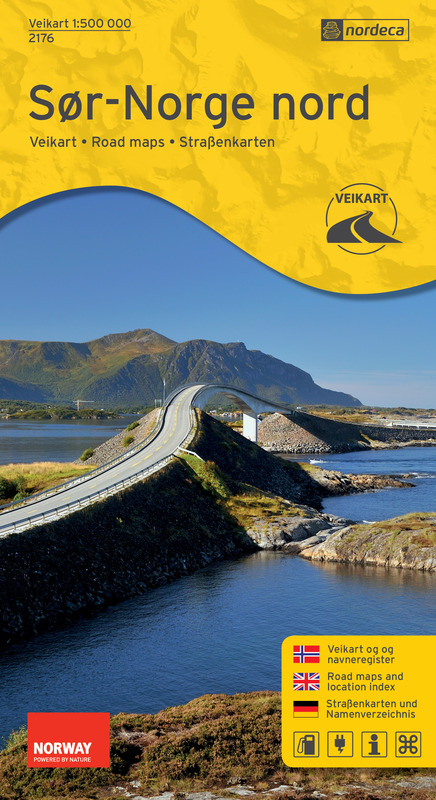 Our brand reflects our strong Nordic roots and long history as a provider of geographic services. 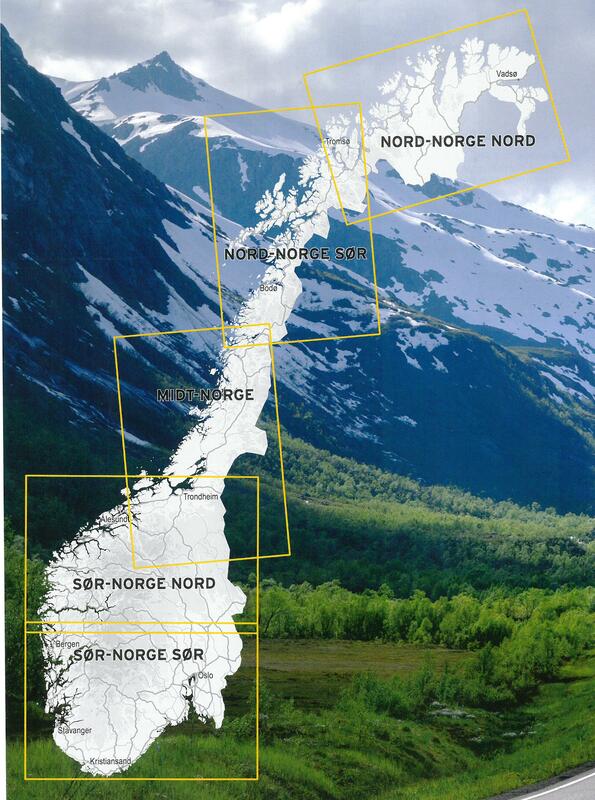 The Norway Series is the most up-to-date map series with full national coverage on the market. 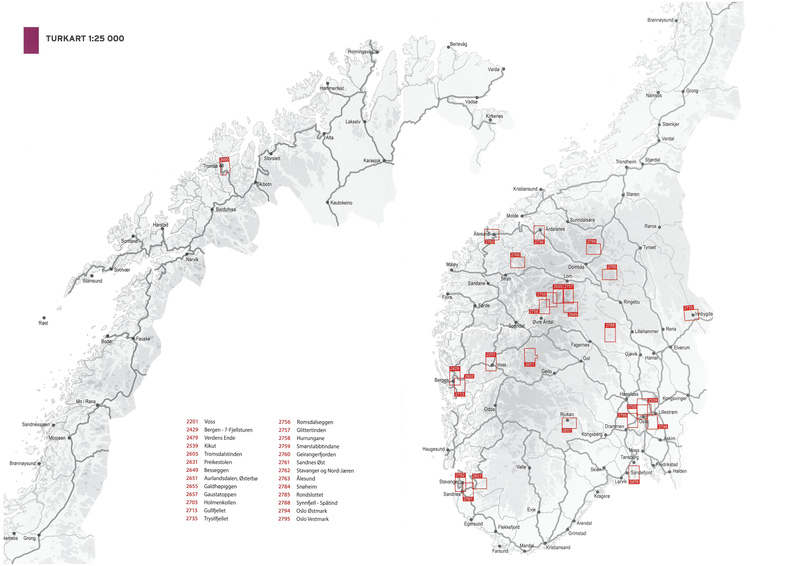 Map data is obtained from the Norwegian Mapping Authority and at a scale of 1: 50,000. All maps are printed on a durable plastic fiber material which ensures that the map can be used outside in all weather conditions. 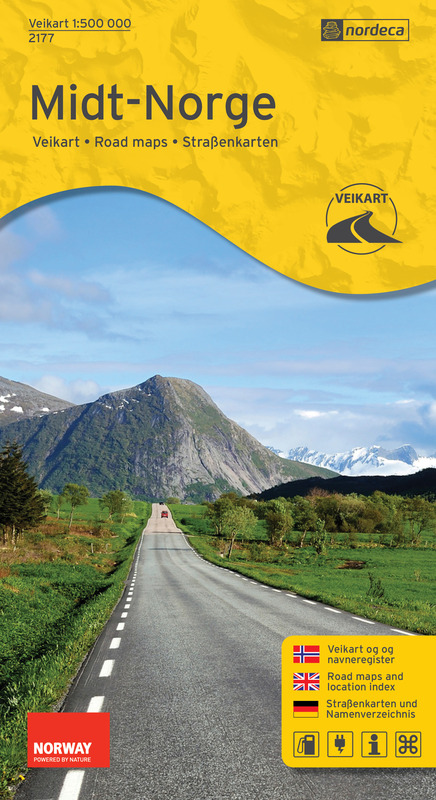 The maps are ideal for hiking and recreational use both in the mountains and the forests and along the coast. The series consists of 195 maps and the division is such that there is a 2 km overlap between map sheets. 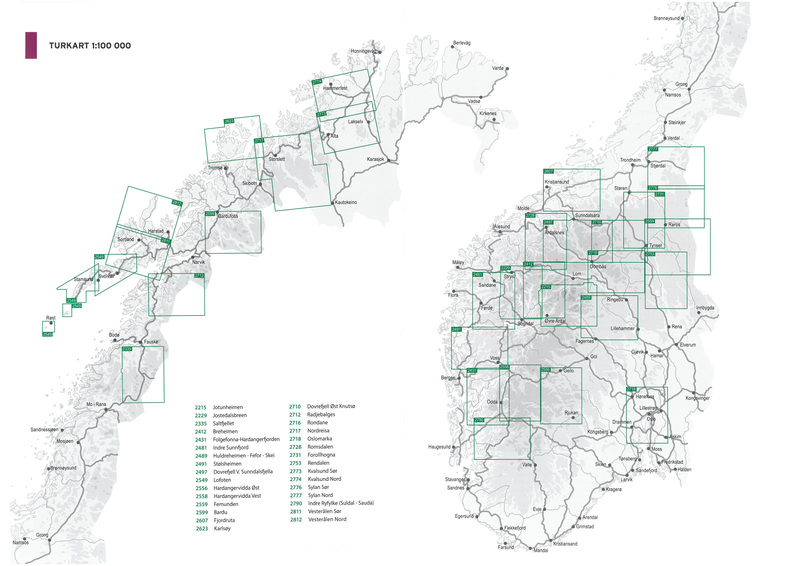 The maps include Swedish, Finnish and Russian map data in border areas where appropriate. The Norway Series, with the same information and division, is also available digitally for the iPhone. 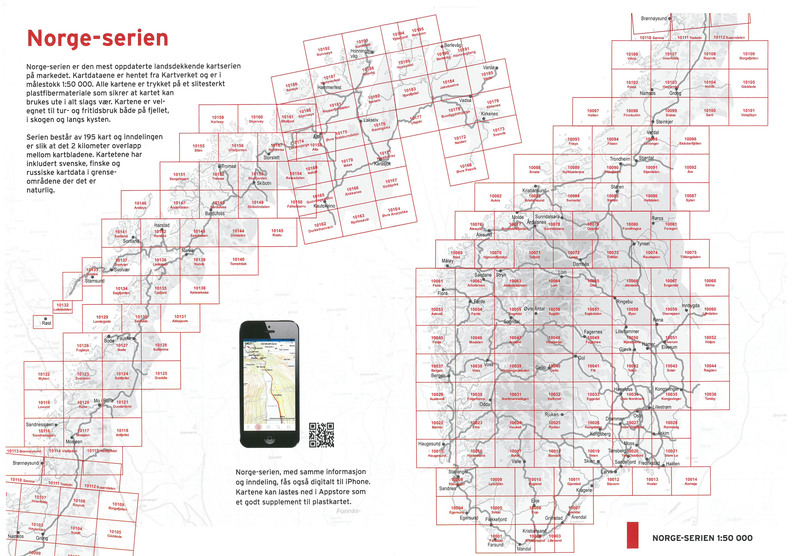 The maps can be downloaded from the Appstore as a good supplement to the plastic map. 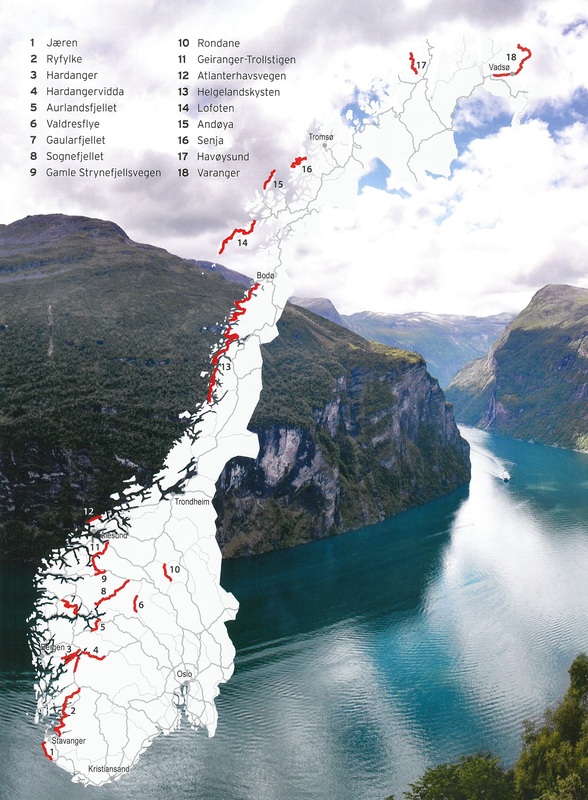 The national hiking map series includes about 200 maps that cover the most popular hiking areas in Norway. 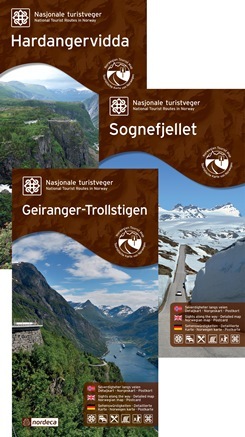 The hiking maps series is published in collaboration with The Norwegian Trekking Association (DNT) and features their tracks and cabins. 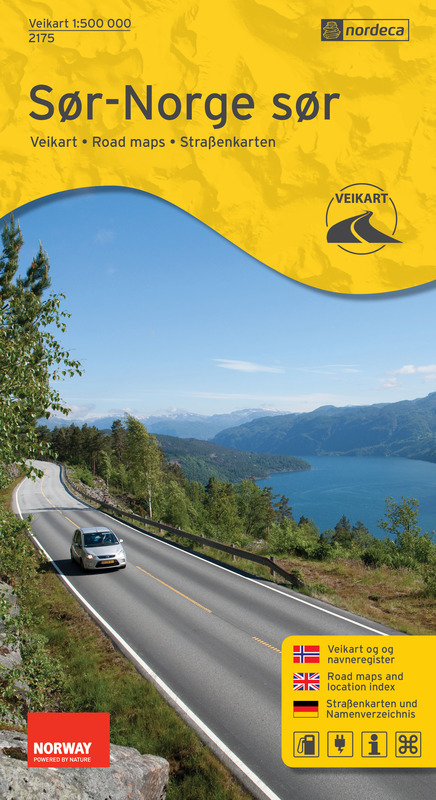 The map is tailored to provide customers with the most local tour information. The maps at scale 1: 25,000 are detailed walking maps covering selected areas where it is important to have detailed terrain and tour information, or where the hiking area can be covered by a map on this scale. This is a relatively small geographic area compared to our 1: 50,000 hiking maps. 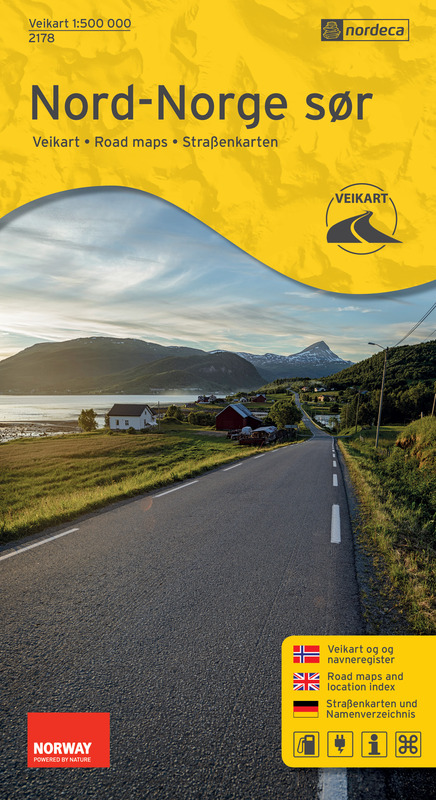 In cooperation with the Norwegian Public Roads Administration, Nordeca has launched a new map series covering the National Tourist Routes. 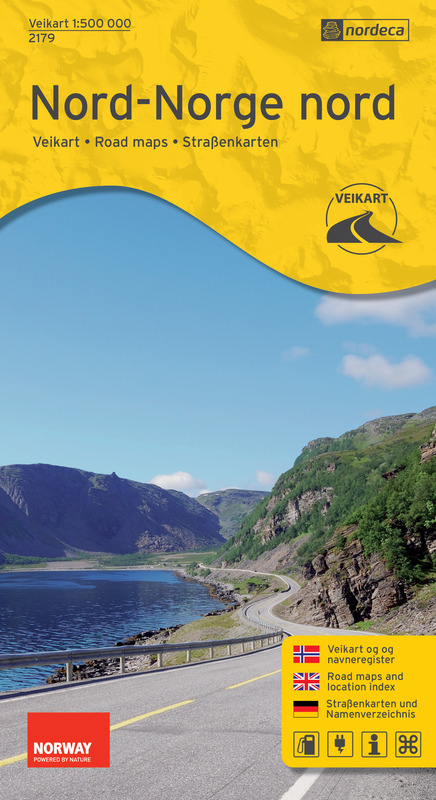 The map series facilitates wonderful experiences along the way, by featuring spectacular viewpoints, exclusive photos, nature experiences, attractions and sights in detail on the map. 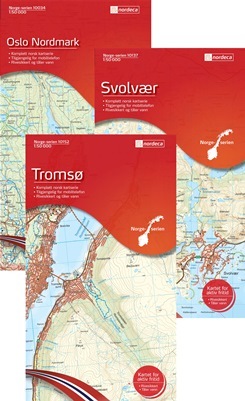 The maps are well suited for both Norwegian and foreign tourists, and are therefore in three languages - Norwegian, English and German.